The Conference & Event Coordinator (“CEC”) is an integral part of the Office of Conferences’ staff. The CEC position, under the direction of the Director of Conferences, is responsible for the daily success of the ever expanding conference program. The CEC responds to the needs of the visiting conference guests and event groups. The CEC is involved in every aspect of the conference program – from general program preparation to specific program requirements and/or needs of each individual groups and or sports camps. On campus housing will be provided. 12 meals will be provided per week when dining is open. Beginning salary is $7.25 per hour for a 40-hour work week. CEC’s may not hold another summer job. However, the possibility of taking one summer school class or studying for a graduate school admissions exam (including GRE, GMAT, MCAT or LSAT) may be possible. Please let us know of your interest at your interview. All CEC’s are required to have background checks completed from Vanderbilt HR before May 1, 2019. 2. Direct and/or assist general preparation for assigned groups, including meeting facility preparation (set-up, A/V equipment, etc. ), residence hall room inspections, daily inspection of assigned areas and reporting any and all maintenance needs, preparation of conference key packets and distribution to individual conference groups, regular inventory of keys, key cabinets and access cards, linens, furniture, and other conference materials. 3. CEC’s will work together in teams and will be assigned a number of conference groups that will be housed in your specific area of campus and your specific residence halls. Your Team will be the point of contact once the conference group arrives on campus. You will see to it that each of your conference group organizers are aware of the locations of their meeting spaces, parking, meals as well as other campus resources available to them. 4. CEC’s will see to it that our campus guests have an excellent campus experience and will want to return to Vanderbilt in the future. Customer service is very important. CEC are seen as Goodwill Ambassadors for Vanderbilt, and we are looking for individuals that want to share their enthusiasm with all our guests visiting our beautiful campus. 5. Prepare and submit requested/required check-list reports, closing reports, inventories, nightly duty logs in a timely and professional manner; Be available and act as a resource person to all conference event participants, making appropriate referrals when necessary. 6. Perform a wide variety of housekeeping as needed including, but not limited to, distributing linens and towels, making beds, collecting soiled linen, wet towels, exchange soiled towels, collecting trash. Performing room to room building inspections and locking all residence hall rooms prior to a group’s arrival. Inspecting all rooms looking for lost and found items after a group’s departure. Entering all lost items in the ‘Lost & Found’ log, bagging & tagging of lost items and storing them in Stapleton storage. Some tasks involve manual labor which may require lifting, walking and/or climbing stairs. 7. Perform registration (check-in/out) duties as required. Meet with you assigned groups during their designated meals times to help groups assimilate to campus dining. 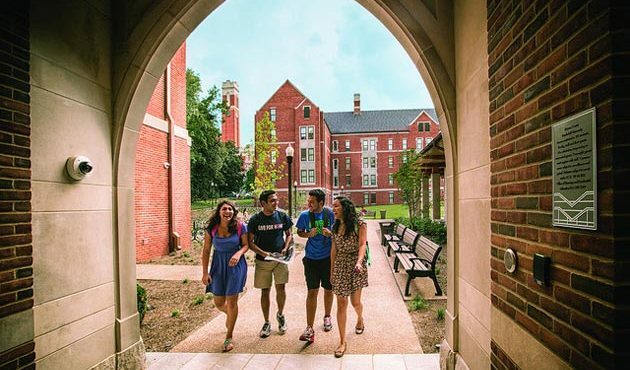 Present a positive image of Vanderbilt University through a professional appearance, a pleasant and helpful disposition, a positive attitude and quick and responsive action. Wear a clean and pressed conference staff polo shirt, brass name tag and carry your cell phone. 8. Assist in acquainting group coordinators with Vanderbilt University’s Guidelines and Policies, Policy Statement, Protection of Minors Policy, Emergency Procedures and Campus/Facility Layout. 9. Each CEC will be responsible for the oversite, and upkeep of the assigned residence halls in your area. CEC’s are responsible for weekly key inventories, and the ordering of lost keys/access cards. Responsible for the locking of all rooms prior to a group’s arrival and when the buildings are not in use. Inventory and report all conference/event related damages, report excessive custodial concerns for each group to the Program Coordinators. 10. Perform main office duty as assigned, rotating reception desk duty at the Branscomb reception desk, execute after-hours duty shifts and answer the duty phone on a rotating basis, including a 24 hour weekend duty as scheduled. 11. As a required live-in staff person, the CEC is expected to be available, accessible in person, by cell phone (within reason) for questions or concerns and to respond to emergencies. Meet daily with your Team and help organizer(s) concerning any needs or concerns as related to their group(s). Work closely with the Director, Assistant Director, our Program Coordinators, Logistic Manager and Team Managers. We will be accepting applications for the Summer Conference & Event Coordinator (CEC) position from Wednesday, January 9, 2019 through Wednesday, February 6, 2019. If you wish to apply for the position please click on the link below and fill out an applicant profile and submit your application through eRezlife before the deadline. Interviews will begin on Monday, February 11, 2019. Job offers will be made to candidates the first week of March, before you depart for Spring Break. 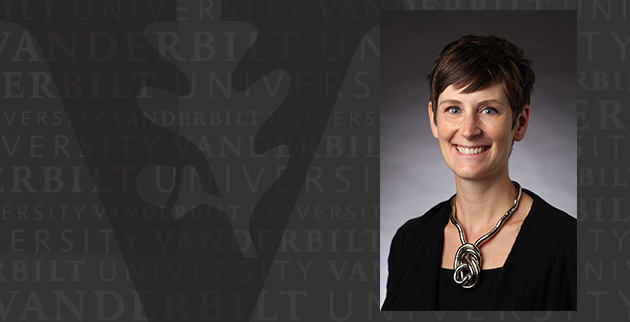 Should you have any questions, please feel free to contact Linda Welch, Director for Conferences, at 615.343.8699 or via email at linda.welch@vanderbilt.edu. All references should be submitted and applications completed by February 6, 2019.